Three goals in the first 20 minutes helped Limerick glide past Carlow and book their place in the All Ireland quarter-finals. It was the worst possible start for the Joe McDonagh champions with teenager, Kyle Hayes netting for the visitors after just 30 seconds. 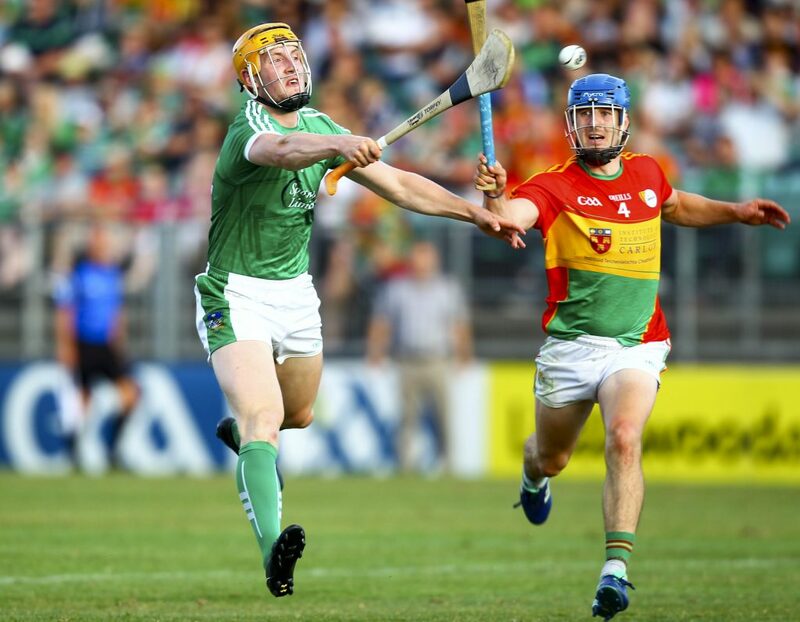 Carlow responded well with points from Denis Murphy and Edward Byrne but were dealt a huge blow when Limerick struck twice in the space of minutes, Graeme Mulcahy and Aaron Gillane firing past Brian Treacy. 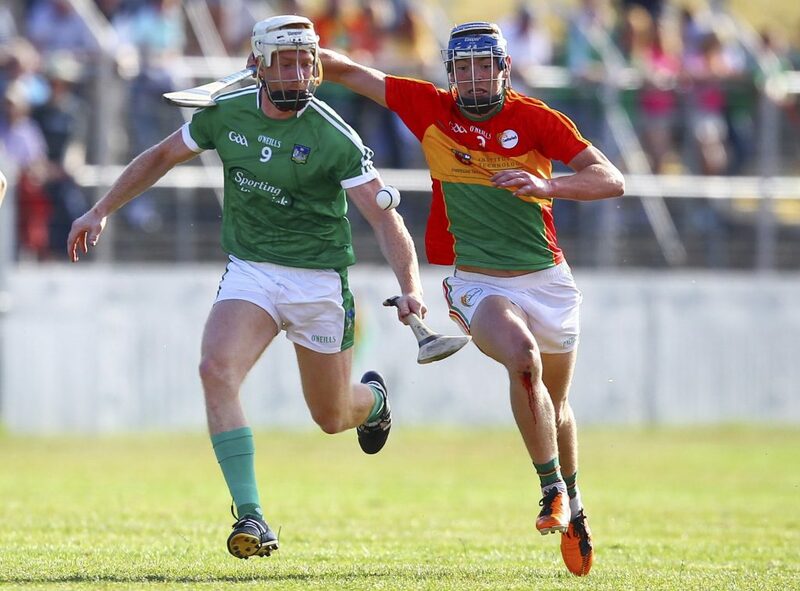 Gillane and Morrissey added further points while Carlow could only manage one more in the half, through a Murphy free. Gearoid Hegarty won possession easily for the visitors in the half-forward line and added two well taken points. Gillane fired over again to leave the score 3-9 to 0-4 at half-time. The home side started the second half brightly with scores from Murphy and John Michael Nolan. But a come-back was never on the cards as John Kiely emptied his bench, who made an immediate impact. Peter Casey, who recently returned from injury, hit two points before Diarmuid Byrnes who had made a run forward, buried Limerick’s fourth goal. Carlow hit three points without reply, but again their scoring run was abruptly ended when Casey hit Limerick’s fifth. Morrissey, Gillane and Casey hit further points to finish out the game and book their spot in the next round where they will meet the losers of tomorrow’s Leinster final replay. Carlow: Brian Treacy; Dion Wall, Paul Doyle, Michael Doyle; Kevin McDonald, Richard Coady, David English; Jack Kavanagh, Diarmuid Byrne; John M. Nolan (0-2), Paul Coady, Edward Byrne (0-1); James Doyle, Denis Murphy (0-6, 4f), Chris Nolan (0-2). Limerick: Nickie Quaid; Mike Casey, Richie McCarthy, Richie English; Diarmaid Byrnes (1-1), Declan Hannon, Dan Morrissey; William O’Donoghue, Cian Lynch (0-1); Gearoid Hegarty (0-2), Kyle Hayes (1-0), Tom Morrissey (0-6); Aaron Gillane (1-5), Seamus Flanagan (0-1), Graeme Mulcahy (1-1).